The Madison James 2017 Collection is the dream of any modern, sophisticated bride. 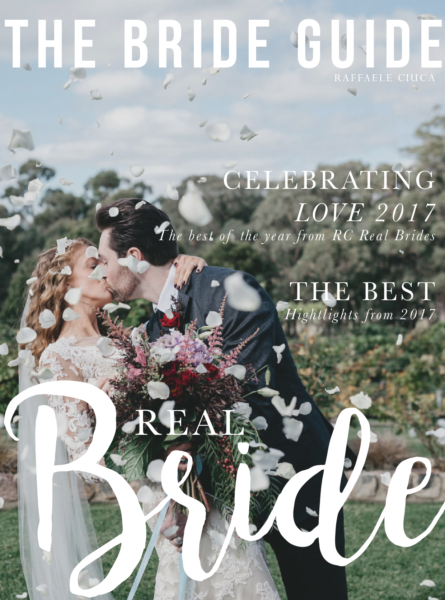 Featuring fresh silhouettes, avant-garde fabrics and innovative lace textures and patterns, Madison James is equal parts romantic and chic; beading and gorgeous embellishments accentuate the unique, clean designs. The collection aims to highlight the breathtaking beauty of a woman in love. We are receiving over twenty of her stunning gowns which will be split between our two Bridal Emporiums. 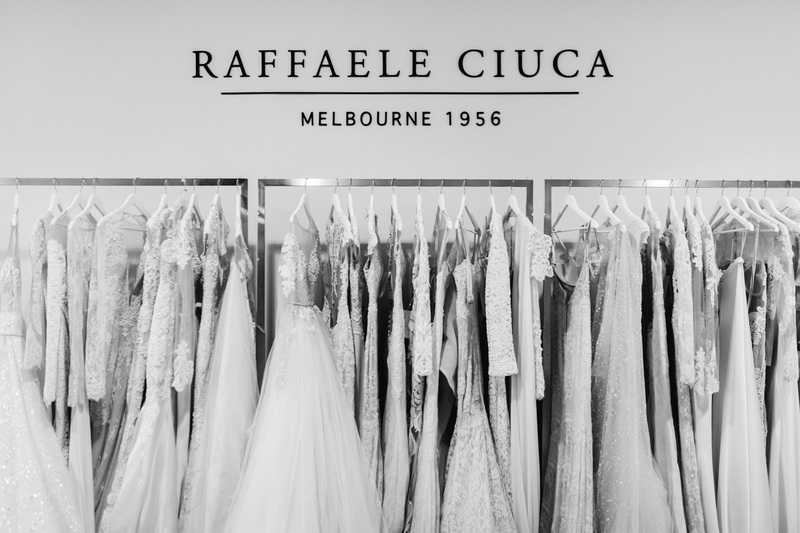 Please call your proffered location to book in an appointments to discover your dream gown. One of the most common inquires we get from brides when making consultations is regarding trunk shows and what exactly they entail. 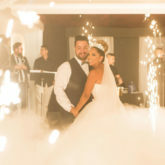 If you’ve shopped before with loved ones you may have an idea of what to expect but for the rest of you who are new to the bridal world, we give you all the details! A Trunk Show is a special event in which we features a particular designer’s collection. 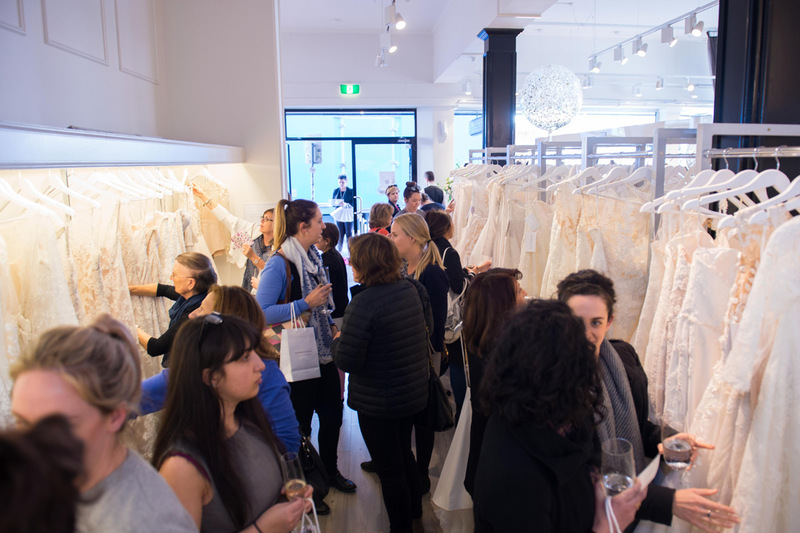 The bride has a unique opportunity to view and try on wedding dresses straight off the runway before they are available in stores as well as styles from previous seasons. 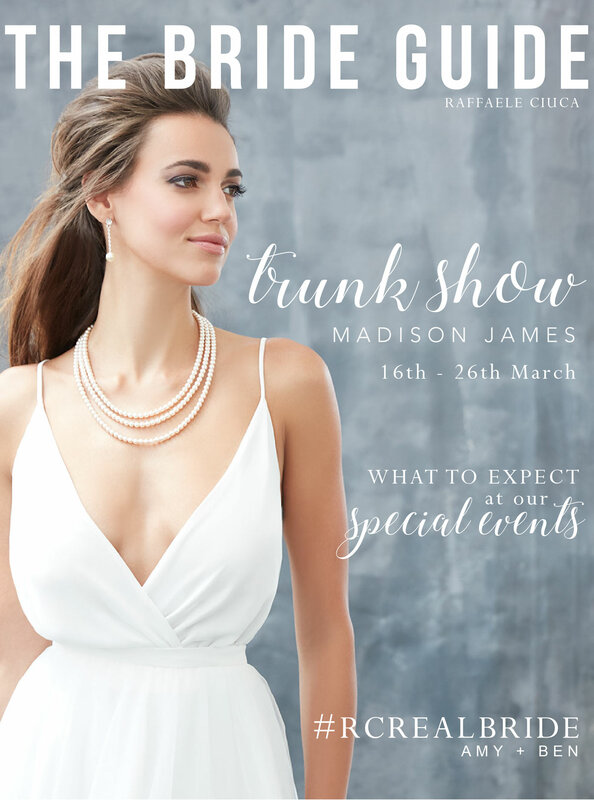 A trunk show is a special event not to be missed and offers brides a very exclusive and fun experience along with many benefits! 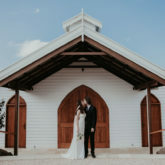 If you find yourself liking multiple styles from the same designer a Trunk Show is a wonderful opportunity to narrow down your search with many benefits that come along with it. Most likely some of the dresses you’ve been eyeing on the internet or in magazines will be from the designer’s new collection, so a trunk show would be your chance to see them first and try them on! 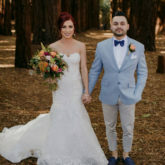 Some designers will also send dresses that are only available during a trunk show and not in stores, giving you the opportunity to choose and try on gowns that are a bit more exclusive and not available to everyone. If you’re in search of a trunk show you can find a schedule of upcoming events on our website and the designer’s website. Trunk shows are usually two to three day events held on the weekend (and sometimes longer). These special events are by appointment only and do fill up quite fast, so if you are interested in attending, don’t wait to reserve your spot! 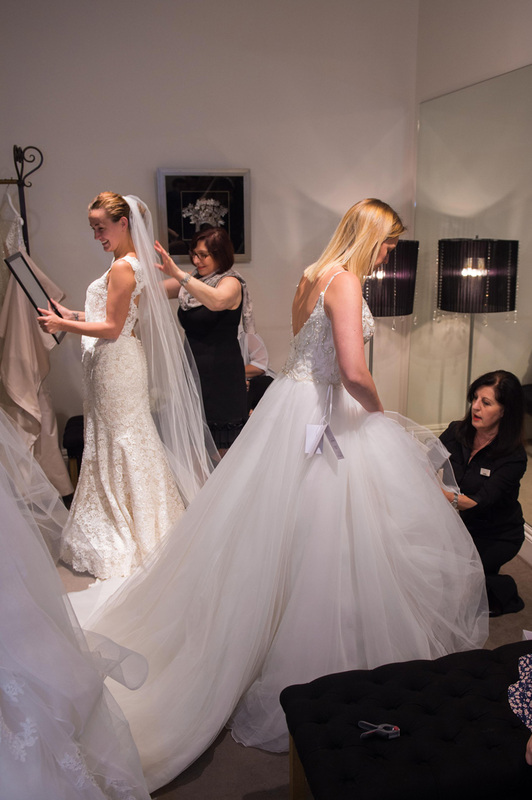 If you decide to purchase a gown from the designer featured at the trunk show, you will benefit with special pricing incentives during that time only. 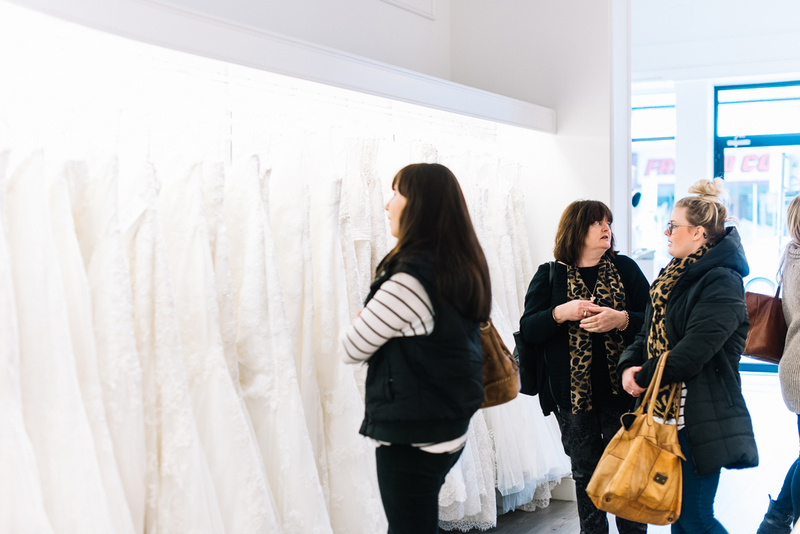 Bride’s can look forward to receiving the best possible price during a trunk show so bring whoever is instrumental in making your final decision with you to your appointment. If you’re wondering if you can try on other designer wedding dresses while at our Trunk Shows the answer is YES! We are more than happy to accommodate you with trying on from our full selection of dresses should you prefer to do so. 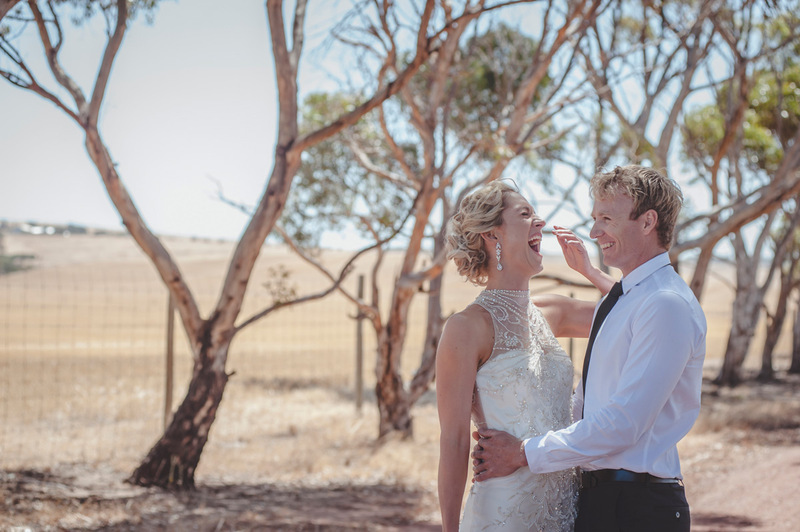 Click here to read their love story.